William Nicholson: Trinity College. Lithograph from Oxford Colleges series issued by the Stafford Gallery in 1905, with their stamp lower right. 38 x 53cms. Signed & numbered no.10 by the artist lower left. Campbell 137. Framed & glazed. A couple of light foxing marks in print, foxing to the mount.ramed & glazed. A couple of light foxing marks in print, foxing to the mount. Category: William Nicholson. 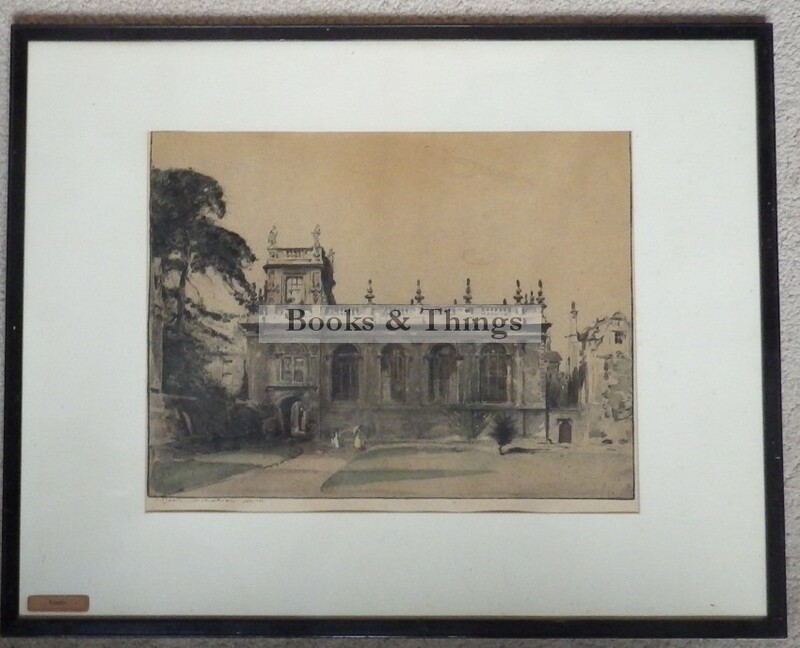 Tags: William Nicholson lithograph, William Nicholson print, William Nicholson Trinity College lithograph.